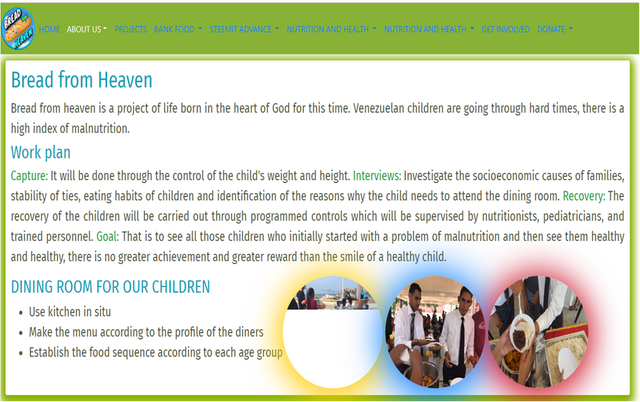 Within the framework of the implementation of the "Bread From Heaven" social program, we are developing a website according to the necessary requirements for the work that is being carried out in the children's dining rooms, in order to offer a modern tool capable of crossing borders, keep the information updated and create a support network to meet the main objective. At the time of the development of a Web site should start by responding to a very specific group of questions, which will clarify and define in a basic way the existing expectations about the Web application and Interaction that will be generated. last few days, we have analyzed and applied certain parameters so that our website complies with the golden rule of all software: reliability, aesthetics, consistency, user friendly interface. In addition to this, adding value to the site we place support and responsibility modules Social. 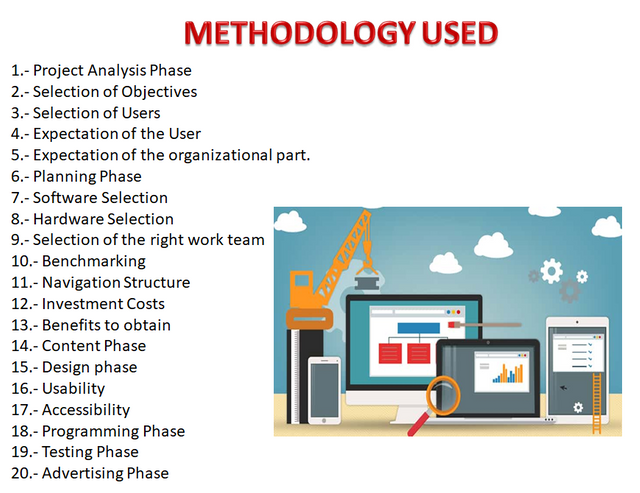 We are working on a methodology that includes different phases. "The modeling of the user is based on defining classes or profiles of users and thus be able to design with the aim of satisfying the needs of each group of users"
It is very important to establish what results we want to achieve as an organization with the creation of the website. In this way, we seek to define the purpose of the website, and we must include aspects that range from the most general to the most specific, related to the target audience. talk a bit about the functionality of the project. 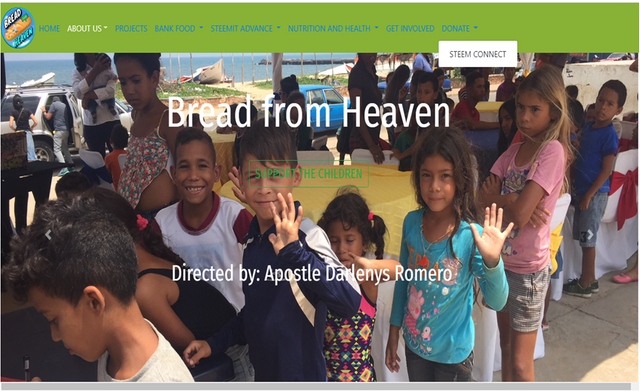 It also has a contact sub-menu where our mail is already enabled: contact@breadfromheaven.com.ve. 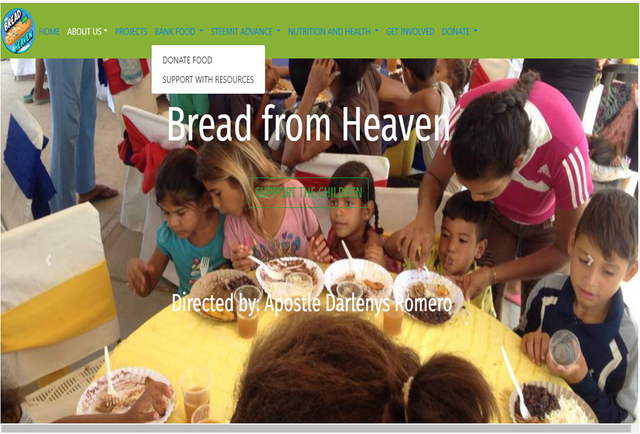 Module referring to activities directly related to the social program "Bread From Heaven", agriculture, campaigns, methods of implementation of dining rooms. Regarding the local food bank, this will be compuetso by the way of donating food, or donate resources. We need support in nutrition, food safety, industrial processes, accounting, computer systems, logistics, etc. We decided to create a module of social responsibility called steemit advance, in turn consists of two sub-menu, such as: promosteem and blockchain, adding value to our platform, events and relevant topics of blockchain technology in our country. A module that adds much value is related to health, a team of doctors in different areas will be supporting us, to give advice in health areas, nutritional guidelines for families and children will also be included, healthy tips, related to well-being physical. Here we will be registering our volunteer team and people who wish to support this life project, whether they are people or companies. This module will be covering the donations part through our local currency or cryptocurrencies, we will also be using the Steem connect, from our website. 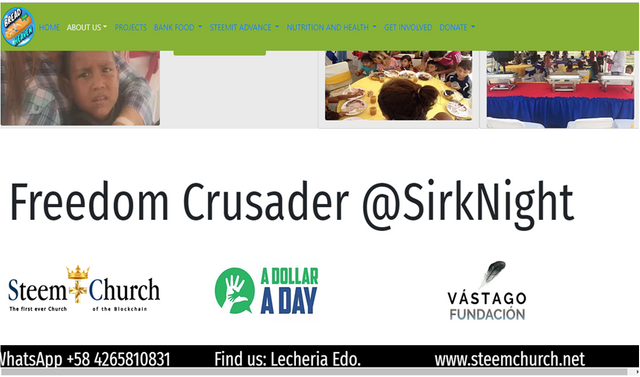 At the bottom of our site are the parties involved in this beautiful project and the links to their accounts such as @steemchurch, @adollaraday and Vastago foundation. 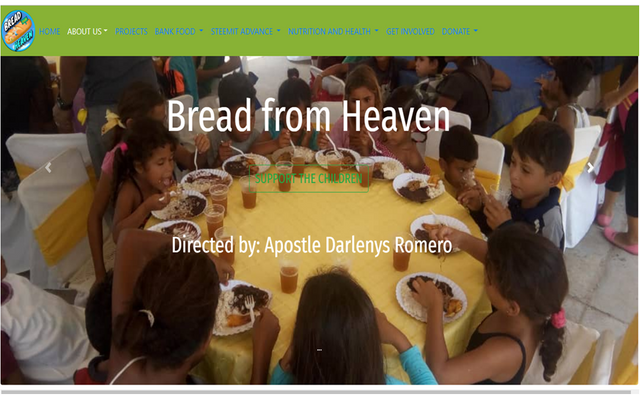 This is a simple but powerful tool, made with a lot of love especially for @sc-v and his project "Bread from Heaven". This is an amazing work @Darlenys01. The @sc-v project is growing daily with major improvements. Incorporating technology to the peograms of @sc-v is strategic in opening doors for more collaborators and investors. The results will be amazingly unique. Amen, we hope that everything is for the glory of God, your words are motivating. God bless you. 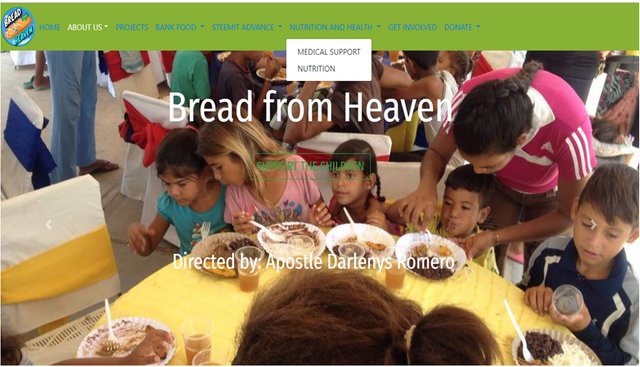 It is extraordinary, to promote bread from heaven, a project of God that is under your heart and now is ours. 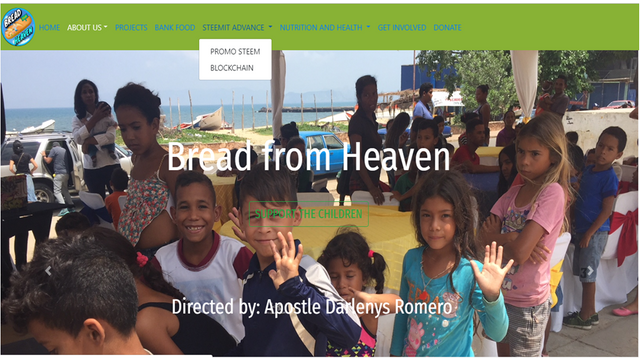 I am very happy to participate in this project, it is a way to contribute with my country and those children who need it so much, I hope to finish an excellent job @darlenys01. A work with love and excellence, I believe that every day you will add value to this, congratulations to all those who are helping, God will bring you back because they do it from your heart @laramrm, @mildreduh, @taty17 and @darlenys01. They are doing a great job in supporting all that God has given them to bless a nation. I like the idea that you think about the future of applying Benchmarking, for those who do not know is a way to detail, observe and evaluate all those Web pages rated as the best on the network, in order to design a way that allows create a product of high quality, productivity and competitiveness. Excellent @darlenys01. great @darlenys01, it is very nice to see that you advance in what God has given you, do not stop for nothing, your victory is sure. Good proposal @darlenys01, simple graphical interface, friendly, and with the excatos points that are required. Technology is a necessary tool, it is good that you have thought of every detail @darlenys01 that adds value to bread from heaven. It is well established the objectives and the approach that you wish to give to the page. I like this one @ darlenys01. Technology is nothing. The important thing is that you have faith in people, that they are basically good and smart, and if you give them tools, they will do wonderful things with them.